Sanjay Balkrishna Sathe, a farmer had sent Rs 1064 to PM Narendra Modi that he had got from selling 750 kg of onions. MUMBAI: More than a week after Sanjay Balkrishna Sathe sent Rs 1064 that he had got from selling 750 kg of onions, the farmer from Nashik district has realised that his 'Gandhigiri' has yielded nothing but a mere telephonic enquiry about his farm area and yield and attempts to trace his 'political roots' and show that his onions didn't deserve more than what he got. "Deputy Collector Shashikant Mangrule called me up earlier this week. He asked how much land I own, the type of onions I sow, total expenditure that I incurred and my yield last season. But no government officer has cared to visit my home or farm and see the kind of hardship that we have to face," Sathe told this newspaper on Saturday. "Other farmers dump their onion in the fields to rot or just throw them on roads to register their protest. I don't think that is the right way to protest and hence I sent the amount I earned to the PMO to highlight our plight. My intentions were very clear. But, now a couple of my friends have said that some officers from the Tahsildar officer are enquiring about my political affiliation. This has got me worried," he said. Sathe's onions fetched Rs 1.5/kg at Asia's biggest Onion market yard. He said there were attempts to project that the onions he had brought for auction were of a low quality and hence, they fetched a low price. A note, which is said to be part of the official report, is in circulation in the social media and in the onion trade circles. 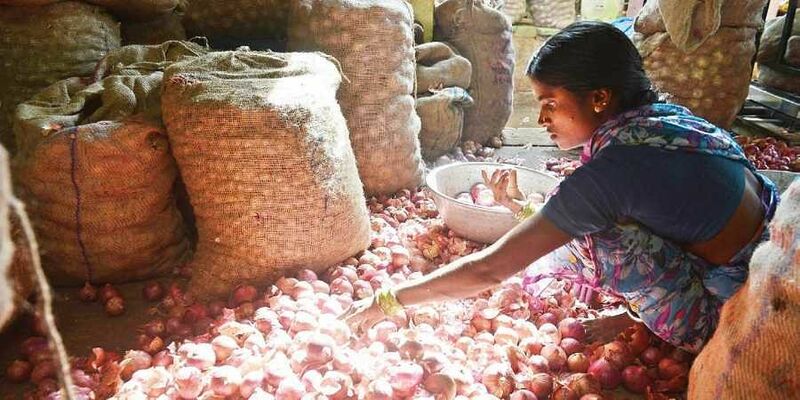 "The note, while giving reasons on why my onions fetched record low rate, says that according to the APMC's explanation, my onions were of a low grade and stored for a long time. Hence, they had started turning blackish," Sathe said. However, according to Lasalgaon APMC Chairman Jaydatt Holkar, no such report has been sent by the APMC to the district administration and the information on average rates might have been picked up from the marketing federation report. While Deputy Collector Shashikant Mangrule did not answer phone calls, Collector B Radhakrishnan said no attempt was made by the district administration to enquire about Sathe's political leanings. He, however, couldn't say what measures, if any, had been taken by the district administration to provide some relief to onion growers like Sathe who fetched very low rates. In a related development, Shreyas Abhale, another onion grower from Sangamner in neighbouring Ahmednagar district, has followed Sathe's lead by sending Rs 6 that he got by selling around 510 kg of his onions.